The trees that provide us with the Air we Breath now need our intention to survive! Come and feel the vibrations of sound that will take you back to the roots of the great Amazon through a theatrical performance that will transport you to your ancient heart, the survivor human in you that was once one with the Earth. Enjoy Enlightened Music along with the Passionate Hearts That Perform with no other Intention but to Enrich our Spirits! Please help us raise awareness about the deforestation of the mighty Amazon, which has now reached unprecedented levels. Let us dedicate the intentions of this night and our daily thoughts to stopping the construction of dams in the Amazon! Please don’t hesitate to ask us about the subject we’ll be more than welcome to share information with you! 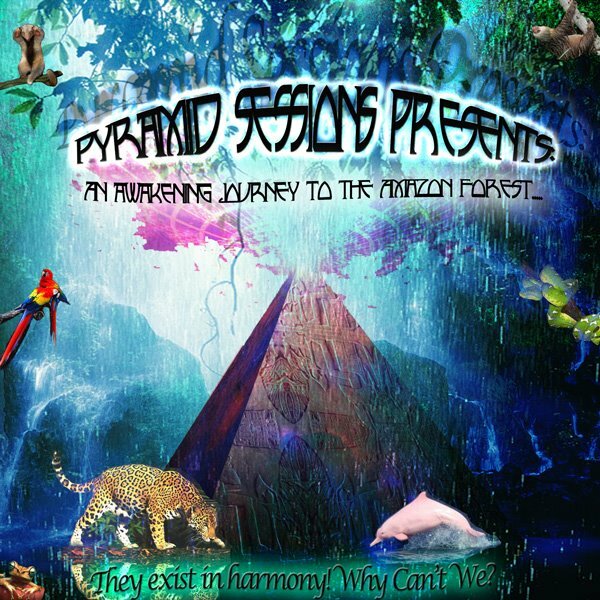 ..all year round through the ^PYRAMID SESSIONS^ events!